*Free USPS First Class shipping. Delivery date is not guaranteed. Is it time for your child to join the Society of Seasonal Secretkeepers? 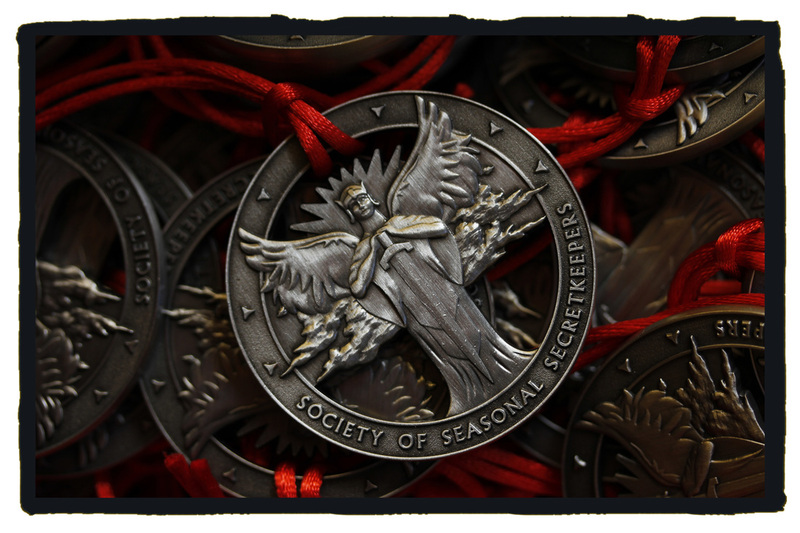 If it's time for your child to know, or if he or she has recently learned the TRUTH about Santa, the Easter Bunny, and the Tooth Fairy, it's time to be inducted into the Society of Seasonal Secretkeepers! 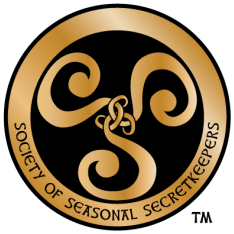 The Society of Seasonal Secretkeepers is the age-old knowledge that seasonal magic requires a lot of help. But now it's captured into a fun, coming-of-age Secret Society that gently ushers your child from "believer" in holiday magic to "creator" of the magic. Perfect for the holiday season, but "evergreen" with activities that are appropriate any time of year! A mysterious gift. A secret society. A special secret for you and your child to share. ​Memories to last a lifetime. Present your child with the Society of Seasonal Secretkeepers kit. An official letter of induction into the Society of Seasonal Secretkeepers, personalized to your child. A beautiful, official medallion which will be treasured, and eventually could be passed on to the next generation. The Society of Seasonal Secretkeepers: Ancient Secrets for Modern Kids book. Your child will record their experience in the book, commemorating this special milestone. They'll fill out personal thoughts, record family traditions, take a personality test, and more! The book will become a snapshot of this period of your child's life. Part one is full of official paperwork, including choosing of a grownup or older child to serve as the agent adviser, a pinky swear that the secrets learned in the book will be safe with the new agent, and choosing of a Secret Agent identity. Turn the page to "The Book of Ancient Secrets"
The Book of Ancient Secrets opens with a secret decoder. Your child will decode the truths about grownup involvement in the "Magic" of Santa, the Tooth Fairy and the Easter Bunny. You will then sit with your child discuss and record favorite holiday memories, traditions, and the family's core beliefs. This section gives you a chance to discuss your family's faith (whatever that may be) and understanding how that fits with fun traditions such as Santa. 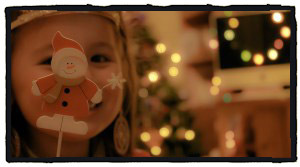 Complete fun, creative activities in the "Secret Agent Training Guide"
The Secret Agent Training Guide contains fun activities and creativity builders that focus on helping a child create a festive atmosphere and create "magic" for others through kindness. From a personality test to determine what kind of "elf" your child is, to making up a magic trick, to inventing a new holiday, your child will find hours of activities that help them take an active role in creating holiday festivities. 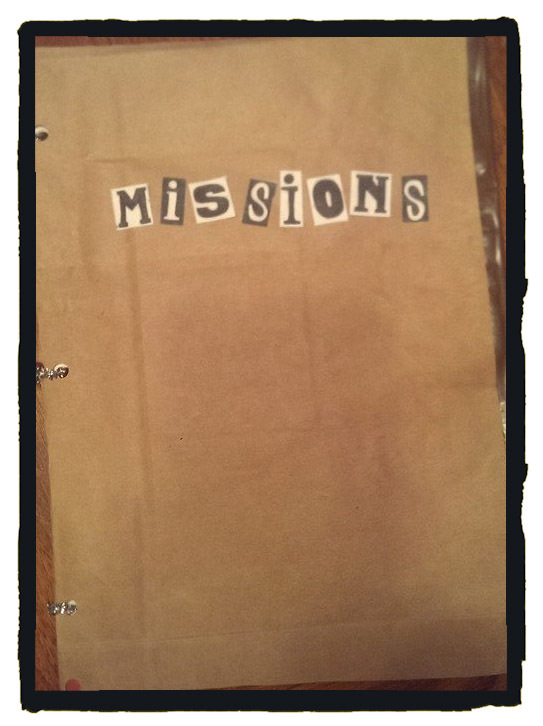 Your child will be assigned secret missions - simple things they can do by themselves that teach the joy of kindness, generosity, and creating holiday magic for others. 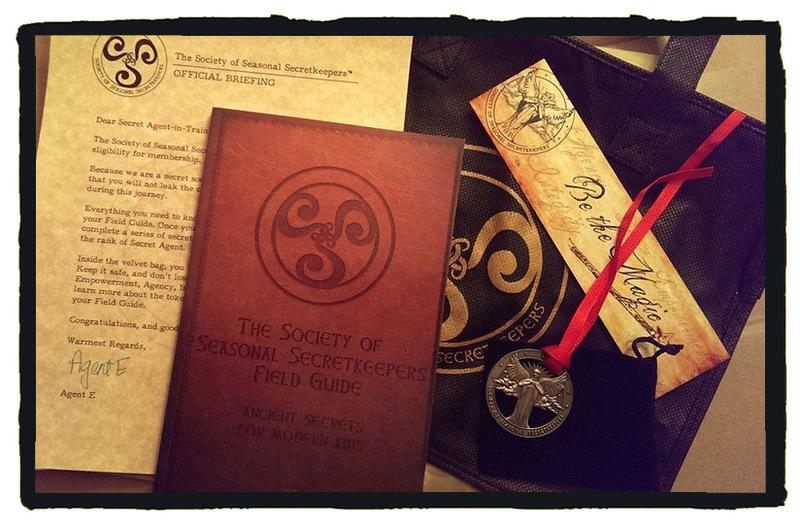 The Society of Seasonal Secretkeepers doesn't end with the kit! Sign your child up to receive secret missions by email and by mail, and remind them to access the society's online "Mission Control" to receive and execute new missions!